If I were a more cynical person I might say this attention is just an empty attempt to shame President Obama and Chicago Mayor Rahm Emanuel, two active and vocal advocates for sensible federal gun control legislation. But when that cynicism creeps up on me, I stamp it down because I know that kind of opportunistic baiting would be deplorable and beneath you all. Especially, since I am sure you are all aware on a regular basis organizations and community members across Chicago and the nation regularly decry the use of violence in our communities and call for our elected officials and others to come up with swift and targeted answers to this pressing problem. I am sure you are also aware both Mayor Emmanuel and Chicago Police Chief Garry McCarthy have decided the answer to this problem is to flood the city’s targeted communities with additional police forces and increased arrests but as you have continually pointed out even with these strategies Chicago has more shooting homicides than other city’s of similar size. As of July 2, 2013 Chicago had 232 homicides and 1,043 shooting victims. While the homicide rate is 9.7 percent below the 10-year average of 257 for this point in the year, the loss of 232 people (many African-American and Latino under the age of 25) is a number that is both a disgrace and an indictment on failed policies. I know the usual conservative positioning on this sort of thing is typically increased police presence and arrests but given the current utilization of these strategies and our still high numbers I am looking forward to, what I assume, will be a new suggested plan of attack. In fact given our new alliance and common purpose, I hope you will indulge me and use the following as the basis for your new talking points. 1.) Create increased access to jobs and employment training programs. As of April 2013, Chicago’s unemployment rate was 10.7%, and the last reported rate for youth 16-19 was 31% for Latino youth and 29% for African American youth. Research has shown that employment not only reduces the drop out rate and increases college-going rates it also promotes work skills and career aspiration that can motivate academic achievement and lowers crime and related costs. Republican support for the creation of a Jobs Act that expands job opportunities for low-income youth and adults through a fund for successful approaches for subsidized employment, innovative training programs and summer/year-round jobs for youth would have a lasting impact on cities, like Chicago, that have youth unemployment over 50%. 2.) Support increased access for juvenile criminal record expungement and sealing. 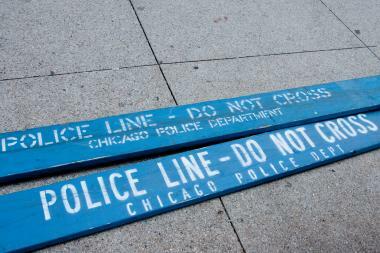 At the end of 2012, police districts in the Chicago area logged 25,373 juvenile arrests. Since research has shown individuals with a criminal record have an increased difficulty in securing employment we can surmise a large majority of Cook County’s 17-24 year olds would benefit from intervention in accessing not only supports to develop strong employment skills they would also benefit from increasing their knowledge on their criminal records sealing and expungement options. Federal support of organizations that assist youth in accessing, understanding and when appropriate sealing or expunging their criminal records would go a long way towards assisting young people in moving past any previous brushes with the legal system and fully engaging in their communities and society in a positive way. Your support and advocacy of these two policy changes could really move us beyond finger wagging to real impact in struggling communities. Given your impassioned discussion thus far I am sure you all were already thinking of this and, I am sure, other remedies. I await with bated breath your proposed strategies to stem the violence. In the meantime, let me say thanks and good looking out!